Dorner Mfg. celebrated its 50th anniversary in business with three days of festive events Tuesday – Thursday, June 14-16, at its headquarters in Hartland, Wisconsin. Dorner is a leader in the design, application, manufacture, and integration of conveyor systems for companies around the world. Dorner leadership is providing an update on business operations; group sessions; plant tour and other activities. The event is by invitation only for select business leaders and top channel partners. Plant tours; new product showcases; food, prizes and other activities. The event is open to customers, vendors, distributors and local personnel. Employee-guided plant tours; food, games and other activities. The event is open to all Dorner employees and their immediate family. The company was founded in 1966 by brothers Wolfgang, Horst and Werner Dorner. Initially, Dorner was a tool and die shop, but transformed its business to focus on conveyors in the early 1970s. In 2012, the brothers sold the business to Incline Equity Partners of Pittsburgh, Pennsylvania. 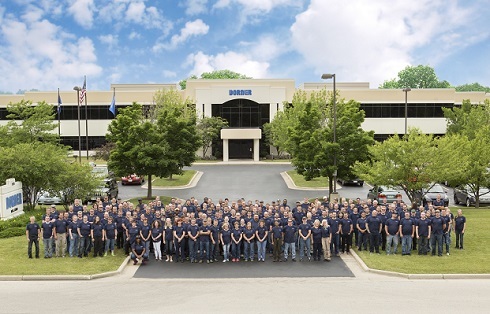 Today, Dorner has a staff of about 250 employees, and its conveyors operate in more than 1,200 industries.